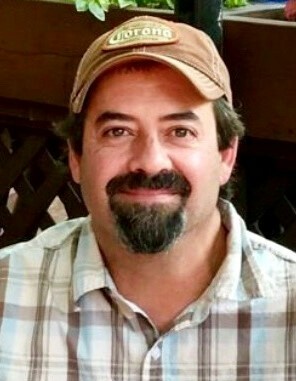 Jeremy Nevada Sandoval, 48, Son of Jerry Sandoval (deceased) and Ardeen Chappell Biesinger, passed away peacefully, Saturday April 13, 2019 in Morgan, Utah. Jeremy was an avid fisherman and loved being outdoors in nature. He had a passion for gardening, smoking meats and was a creative artist. The real love of his life was Lisa and his new family. Nothing made him happier than being a grandpa. His sense of humor and heart was larger than life. Jeremy’s love and legacy will live on. He will be so missed and loved by all. He is survived by Keith and Ardeen Biesinger, his fiance Lisa Offill, stepchildren Alyssa (Jordan) Hughes, Brittany (Tyler) Pender, Chelsey Offill, Dallas Offill, Ethan Offill and his grandchildren Carter, Gunner, Kolter, Piper, Rayden, Jax and Everly. And also his beloved dog, Stupid. Funeral services will be held on Friday April 19th, 2019 at 12pm at 45 W 200 N St, Morgan, UT 84050 Walker Mortuary in Morgan, Utah. Followed by a celebration of life at 1:30pm at 790 West Old Hwy Rd. Morgan, Utah.